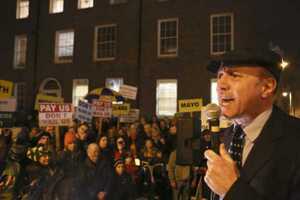 You may recall how, in December, representatives from the Coalition of Mother and Baby Home Survivors delivered a letter to the offices of the Commission of Investigation into Mother and Baby Homes, at 73 Lower Baggot Street, Dublin 2. The letter was addressed to the chair of the investigation, Judge Yvonne Murphy and, in it, CMABS called for the commission’s terms of reference to be widened. Only about one third of the entire total of people who were separated as single mothers and children are being included in this inquiry. 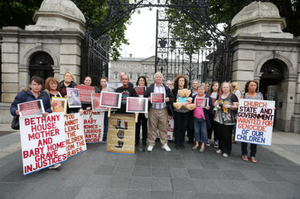 Survivors from Mother and Baby Homes, and other institutions and homes associated with forced and illegal adoptions, will picket the official Inquiry into such homes [today at 1.30pm] for refusing to include ALL survivors. The survivor community has been sliced in two by the Terms of Reference for the Inquiry and thousands have been excluded. This wanton discrimination and exclusion is insulting and deeply hurtful to our ageing survivor community. Despite a formal meeting with the Inquiry and the presentation of irrefutable and conclusive evidence that it would be in the public interest, as well as morally and legally necessary to include all survivors, the Inquiry has stalled and fobbed off our community for nearly 18 months. The indisputable fact remains that the Inquiry’s own Terms of Reference allow it recommend to the Minister for Children and the Government that its terms be expanded to include all survivors. The Inquiry has refused to make such a recommendation without even giving a credible explanation. The Inquiry has refused to include all survivors despite the fact that the excluded survivors have no other means of legal remedy, meaning the Inquiry itself – as well as the Government – is now in breach of European human rights laws. Illegally adopted people are now formally denied justice in Ireland, as are many elderly survivors who happen to have been born in places or situations outside the named Mother and Baby Homes. Survivors are dying without seeing justice and are profoundly wounded and injured by the discrimination the Government and the Inquiry are implementing on a daily basis. The Coalition of Mother And Baby home Survivors (CMABS) will lodge a formal complaint and objection to the Inquiry today at 1.30pm. We will be publishing the complaint shortly afterwards in a press release. CMABS is also seeking a pro bono legal team to challenge the continued exclusion and discrimination against an elderly survivor community who are dying by the hundreds and thousands every year. Thousands have already been denied justice and an apology in this life. CMABS has offered the Inquiry a low-cost and speedy method to include all survivors but this has been ignored. Some of our activist comrades who have recently passed away are named and remembered in our complaint. 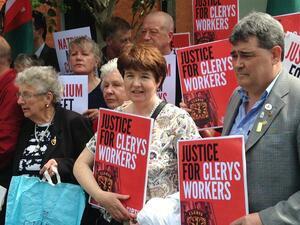 How many more of us will join them in the grave while this Inquiry drags on and the Government hides behind it? CMABS demands an immediate Acknowledgment, Apology and Redress from this Government while there is still time. Many groups have the evidence to conclusively prove their cases now. Why are they being ignored? Deny ’til they die? 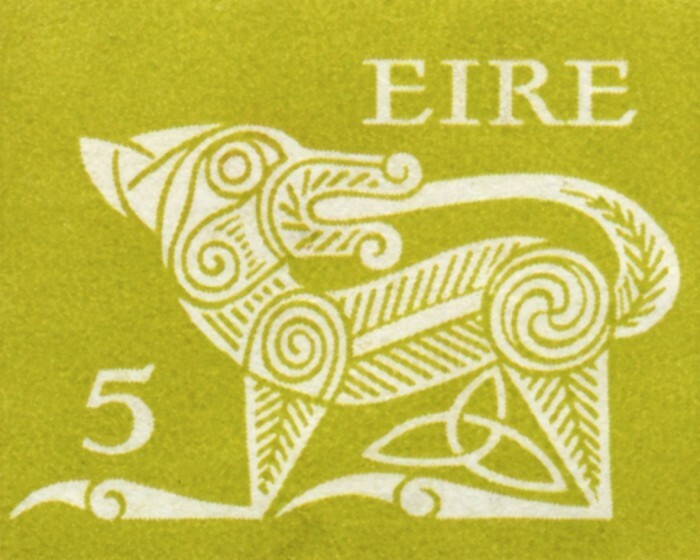 “To add the halfpence to the pence”, in the centenary year of the 1916 Rising? Posted in Misc and tagged Coalition For Mother And Baby Home Survivors, Commission of Investigation, protest at 10:33 am on July 19, 2016 by Broadsheet.